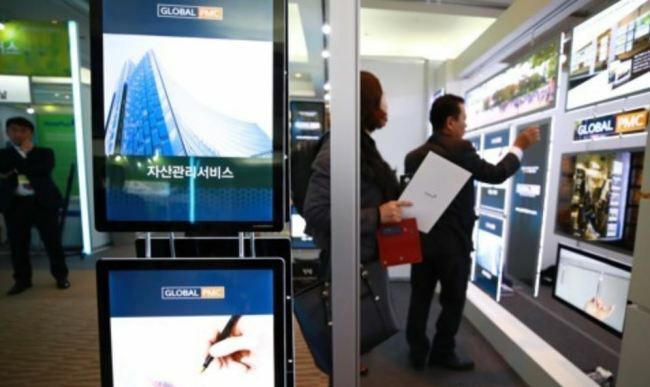 The South Korean economy's ability to create new jobs is expected to fall to the lowest level in nine years in 2018, the central bank's estimate showed Sunday. The Bank of Korea expected the gross domestic product elasticity of Asia's fourth-largest economy to stand at 0.11 this year, the lowest since 2009, when the nation grappled with slowing growth following the global financial crisis in the previous year. The GDP elasticity of employment, which shows how many jobs are created for industrial sector growth, is calculated by dividing on-year growth in job creation with the real economic growth rate during a set period of time. Higher numbers represent more employment versus industrial growth, while lower figures are signs that fewer openings are available despite gains. South Korea's elasticity has steadily declined from 0.72 in 2014 to 0.39 in 2015 and 0.3 in 2016, but it rebounded to 0.39 in 2017. The downward trend was mostly attributable to technology-based workplaces, which have growingly replaced workers with automated systems and robots. But this year's sharp decline may have been affected by the government's drastic turn to labor-friendly policies, including a hike in the minimum wage and cutting the maximum working hours from 68 to 52 hours, market observers say. To encourage more companies to hire new workers, experts recommend the government provide subsidies for smaller companies and lower regulations on their business activities. "The government should adopt policies to bring back offshore companies," said Kim Kwang-seok, a professor at Hanyang University.